Manpower Minister Mohamed Saafan received a report on Thursday morning from the Manpower Ministry’s Occupational Safety and Health Administration on the death of seven citizens on Tuesday at Banha University Hospital, Qaliubiya, due to the collapse of the hospital’s elevator. The official report stated that the elevator fell from the seventh floor as a result of damage to the main wire operating the elevator, killing seven citizens. 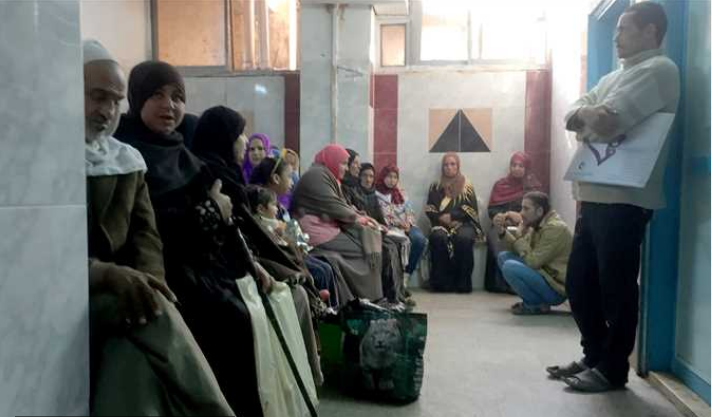 The Occupational Safety Management Department, responsible for ensuring safe working conditions for workers in Egypt, had inspected the hospital before the incident and filed a claim against it due to the lack of a periodical maintenance to elevators, the report said. Prosecutors inspected the scene of the incident on Wednesday and listened to the testimonies of the hospital’s director and Banha University president who both said that a maintenance company is responsible for the elevators in accordance to a contract signed in April 2015. Prosecutors formed a technical committee to inspect the elevator and determine the reason behind its collapse, and demanded that the police conduct an investigation into the incident. The people who were killed had traveled from the neighboring Monufiya governorate to visit their grandmother, who is currently receiving treatment at the hospital, hospital sources revealed. The families of the deceased received their bodies and buried them in Monufiya upon an order from prosecutors Tuesday. Banha University Hospital has three elevators, one for patients and visitors, the second for transferring medical waste, and the third for faculty members and doctors.